There are two types of people in this world: those who can’t live without daylight and those whose brains are most active after the sun has set. Miami is home to both of them! If you feel you belong more to the second group rather than the first one, here’s a nightlife guide that will help you have fun in Miami. There are four main spots every South Floridian should put their eyes on: Miami Beach, Downtown, Wynwood and Design District, and Little Havana. In each of them there is a great variety of night clubs and activities to enjoy, and the best part: without wasting too much money. 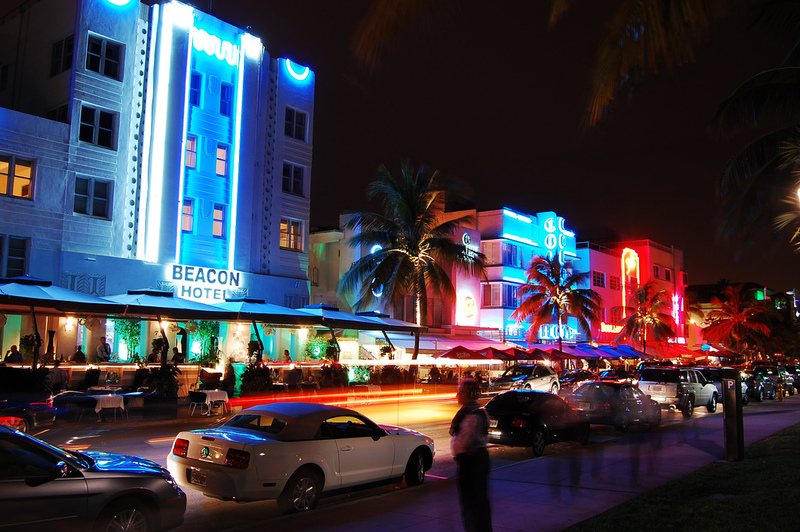 When passing by Miami Beach, you shouldn’t miss certain key places where you’ll have an excellent time. For example: FDR Lounge, Sunset Lounge, HaVen South Beach, Jazid, and New World Center. However, if you’re less of a “getting a drink” person and you enjoy calmer plans, then you can always go for a walk at Lincoln Road or Ocean Drive. If you’re looking for fun at Downtown Miami, then The Pérez Art Museum Miami is your place. Every month, they host a social event that includes live music, drinks, food, and a gallery exhibit. This is a free event that only charges the museum admission. You can attend every third Thursday of every month between March and September. In Wynwood and Design District you’ll find live music at The Stage, which only charges a nominal cover. You can also choose a free walk by the artistic streets of Wynwood Arts District, where you’ll also enjoy food trucks, live music, and other entertainment. Last, Little Havana is always here to save our leisure time. Every month, Little Havana hosts Viernes Culturales Arts & Cultural Festival, where you’ll enjoy dancing, music, entertainment, and local galleries that open till later hours for people to get the complete artistic experience.